Material: 100% Polyester. Lining: 100% Polyester. Fantastic jacket with a faux fur collar from ONLY. 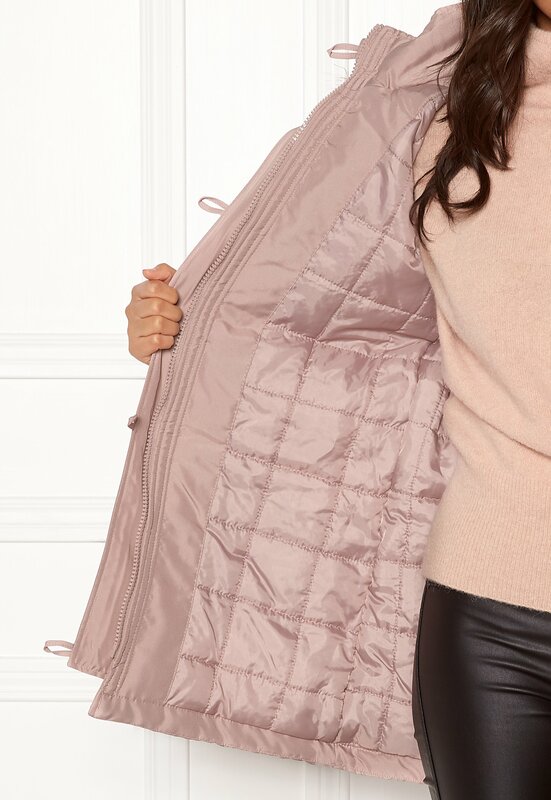 The jacket has a classic design with elastic at the waist. - Zipper at front with buttons - Four buttoned front pockets - Accentuated waist with elastic - Hood (non-detachable) with faux fur collar (detachable) - Lined - Cuffs Back length from shoulder 81 cm, bust 63 cm, sleeve length from shoulder seam 61 cm in size S. The model is 174 cm tall and wears a size S. Machine wash at 30 degrees.